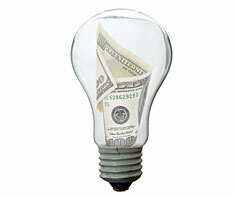 Energy Rates are the prices, service levels, and performance evaluations for energy supplies for your home. Energy supplies can include purchases such as: electricity; natural gas; fuel oil; and propane. A number of states have been undergoing deregulation of their gas and electric utilities. As such, this is creating more opportunities for energy customers to save money by shopping around to purchase their natural gas or electricity from a supplier other than their local utility. The local utility, however, would still be responsible for delivering the natural gas or electricity that would be purchased from a non-regulated third-party supplier. Shown in the 'Routine Care' section are the recommended routine maintenance tasks for your energy rates. The 'Q & A' section shows answers to common questions. And the 'Articles' section provides helpful articles about your energy rates.